I’m a big fan of Dale Calvert. I’ve been reading his website and watching his videos for almost eight years now. I really like his laid back approach and honesty about the network marketing industry. He doesn’t try to hype things up and he doesn’t fluff things up either. He calls a spade a spade and he tells you the truth. I call him a straight shooter and think he is one of the best trainers in the industry. Along the way, I’ve learned lots of valuable lessons from Dale Calvert. Today, I want to share some of my favorite lessons I learned from him. These lessons had a big impact on my business and life. They are listed in no particular order. Dale Calvert is one of the only network marketing trainers I’ve studied who places a HUGE emphasis on building depth. He frequently states that most leaders in our industry earn MOST of their income from just THREE or fewer legs, even if they’ve sponsored hundreds of people personally. He teaches people to study their company’s compensation plan and NOT to build any more legs than are required to max out the compensation plan. Everyone you sponsor after that number should be placed somewhere in depth. For example, if you need 10 legs to make it to the top of your company’s compensation plan, you should never build more than 10 legs. Doing so is either “ignorance or greed” according to Dale. He also teaches people to build a few legs at a time, ideally two or three legs at a time, until they are stable and independent of you. Dale Calvert frequently talks about the importance of having retail customers. This is like a breath of fresh air in our industry, since many companies make no mention of it at all. He teaches people to build a solid customer base, in addition to recruiting distributors. He also teaches a “retail to recruit” strategy that makes a ton of sense. Without customers, there is no business! This rule says that you need three things to succeed in network marketing. You need the right skill-set, the right mind-set and the you need to be in the right company at the right time. It will take you time to develop your skill-set. Some of the basic skills you must master to succeed in network marketing include prospecting, lead generation, presenting, selling, following up, and training your team. The best way to learn these skills is to work closely with your mentor and learn by doing (in the trenches). Your mind-set includes your ability to focus, see the big picture, stay persistent, stay committed and never quit. It also means THINKING like a business owner, not an employee. Finally, you have to be with the right company at the right time. Pick a good company that has been around a few years, but isn’t a household name yet. You shouldn’t worry about things you can’t control. Don’t worry if your prospects tells you no. Do not fret if people don’t call you back. Don’t get upset when your new distributor quits. And, don’t be devastated when one of your best leaders switches companies. Instead, focus on what YOU can control. Focus on the money producing activities that grow your business and your income: prospecting, showing the plan, getting customers and training your team. At the end of the day, the only thing you really control is how many people you share your business opportunity and products with. This is a business of exposures and attrition. Go through the numbers, stay consistent and focus on what you can control! If things aren’t going well in your network marketing business, it’s your fault. Don’t blame your sponsor or company. Instead, look yourself in mirror and man up or woman up. Realize that you aren’t very good at what you are doing yet, because you haven’t developed the right skills or mindset. It might take you two to three years, or even longer, to master these skills. Until you get you right, you will struggle in the business. There is no such thing as a successful victim. Get rid of the “blame” and “victim” mentality and accept 100% responsibility for your own success (or failure). The best leaders in our industry sift and sort their prospects. They don’t try to pressure, bug, hard sell, or convince someone to join their team or purchase their product/service. They simple share their products and business opportunity with a lot of people and let the numbers work themselves out. Remember, if you have to pressure or convince someone to join or buy, you will have to pressure and convince them to “do something with the business” once they do sign up. I would like to add in two points myself to this lesson. First off, you must ALWAYS ask for the sale. Even if a prospect is interested in what you are offering them, they won’t join your team unless you ask them to. You have to be able to look someone in the eye and ask them to take out their credit card and make a purchase. Secondly, you can work through smaller numbers of prospects, and get the same results, once you master your skills and mindset. While this is a numbers game, it’s also a business of skill and strategy. This lesson took me many years to figure out. When you look at the top earners in our industry, you don’t see the struggle and failure they went through to get where they are today. You only see the finished product. However, everyone has a story behind the story. They went down a road to success that you probably never got a chance to see. You must realize that you will have to do the same thing to achieve the results you want in your business. There is always a story behind the story. The person you see on stage who made it to the top ranks in less than one year probably spent five to ten years in other companies developing their skills and contacts, yet you rarely hear about that story. In summary, Dale Calvert is a well-respected leader and trainer in the network marketing industry. I’ve learned many valuable lessons from Dale Calvert during the past eight years, but these are the ones that really resonate with me. If you’ve studied or followed Dale Calvert, I would love to hear what you have learned from him. Just leave a comment to share your thoughts. Have a great day! Dale is one of those people who teach common sense tips but in a new way that makes people just click. I love what he does and how he inspires people and businesses to not only be better but grow and continue to grow. When we focus on what matters the most, we leave little room for the doubts to stem their roots in the floor. 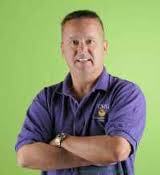 Dale Calvert is one of my favorite trainers in the MLM Industry. He speaks the truth and keeps things very simple. I met Dale Calvert many, many years ago at a Shaklee Conference. He was making his climb to the top of the company. He was very easy to talk to and very personable. I knew right away that he would rise to the top status in the company. It was just a matter of time. I am no longer in network marketing myself, but I do follow his websites and YouTube videos from time to time. I know plenty about the sift and sort process. I have some experience in sales and telemarketing and I understand that time is money. It is best not to waste that valuable time trying to pressure people who are on the fence when you could be working good leads with those who want in on what you’re doing. As a former telemarketer and manager for a very high pressure home improvement company, I somewhat agree with you, but I also think there are many who allow sales to go by the wayside by not answering objections with a rebuttal. A great example of this is when a telemarketer calls me up and just barely starts the pitch and I say I am not interested and they just hang up. There is a fine line between pressure and persistence. Many people naturally object out of a defensive nature. In many cases, they have a need and a desire when we actually explain the product or opportunity. I am guilty of expending too much energy worrying about matters that are out of my control. The fact is, worrying about something you cannot change does not do anything by give you anxiety and stress. The time and energy spent on worry about things not in your control can be spent doing something productive that is actually going to benefit your company. When you brush off the stuff that you can’t control and redirect that attention you will find that you are less stressed and more productive. Good points, Diamond. I’m not much of a worrier myself. I tend to role with the punches. I’ve learned a lot from Dale Calvert.